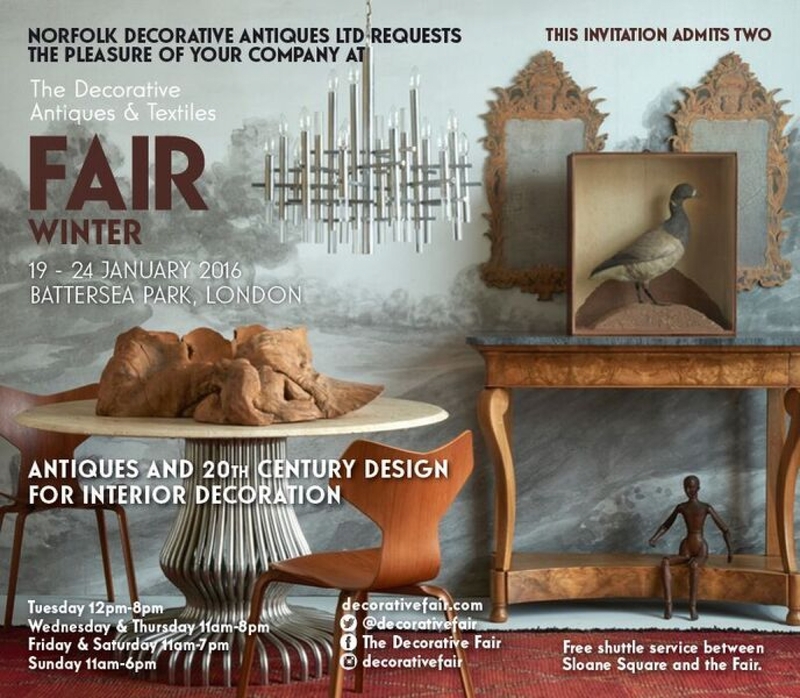 See us from January 19th to the 24th at the January outing of the famous Decorative Fair . Our antique lighting will be diplayed on stand 88 1st stand main Aisle as usual ( its our chandelier on the front of the ticket ) . This time we have some amazing things , a giant silver antique chandelier , an amazing Napoleon 111 chandelier , loads of spheres and Venetian hanging lights , wall sconces and all with a backdrop of dressers , tables armchairs and that special country house look . Cant wait - see you there . A courtesy bus runs from outside the Sloan Hotel ( opp Peter Jones ) to the fair every 20 mins or so on a loop and back . Amazing food in Megans cafe now on the new Mezzanine floor with a view over the park .